This avocado smoothie is excellent for a quick breakfast smoothie or a refreshing afternoon snack. 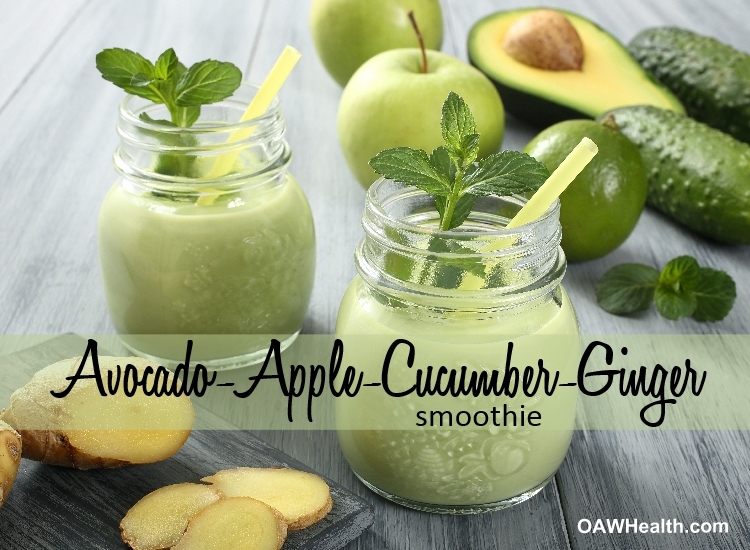 Avocado Smoothie with apple-cucumber-ginger-lime is chock-full of healthy nutrients and cleansing fiber. Ginger has anti-inflammatory properties and is also soothing to the digestive tract. 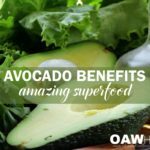 Avocado contains heart-healthy monounsaturated fatty acid, contains more potassium than a banana and can help support healthy cholesterol and triglyceride levels. The health benefits of apples are many including anti-inflammatory properties and heart health support. There is a saying that avocado goes with everything, and since I love avocado so much, you’ll get no argument from me! Avocado smoothie with apple-cucumber-ginger-lime is also sweet, creamy and delicious — all the requirements to become a healthy family fav for young and old alike. Remember – Fuel Your Body with Real Food! You can also boost the nutrient content of this smoothie by adding protein powder, freshly ground flax seeds or green veggies. We highly suggest always using fresh and organic ingredients. Wash ingredients thoroughly and as needed. Peel avocado and cucumber. Squeeze juice out of fresh lime. 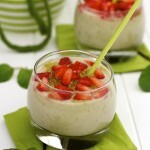 Place all ingredients into high speed blender such as a Vitamix. Blend thoroughly until smooth. Drink immediately. Enjoy!